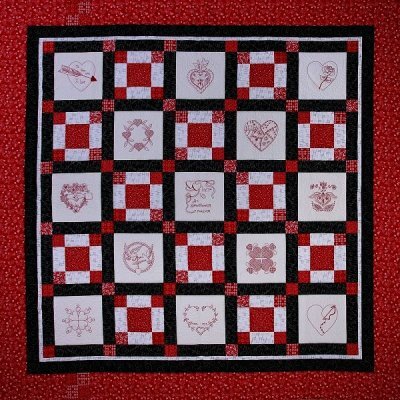 QuiltRed.com is dedicated to raising awareness of heart disease and the effects on women. Quilt Red was organized by both quilters and quilt shop owners as a way to work together to spread the message of the importance of women’s heart health. Through the Quilt Red website, women are encouraged to learn more about heart health, take steps to reduce the likelihood of acquiring heart disease, and to encourage the making of red and white quilts to donate to charity. Visit the official Quilt Red website to learn more, and to see a listing of participating quilt shops across the USA.